Making a good use of abandoned structures is in my opinion something that should be done more often. I’ve always been interested in seeing such places turned into something, the more artistic they became the better it is for my taste. For this reason, while in Japan we decided to go to Naoshima to also see, along with everything else, the Art House Project in the Honmura town. This project was initially born to convert a selection of abandoned houses, workshops, a temple and a shrine into art installations and places where artists and architects from Japan and not could use their creativity to convert them into contemporary art spots. What attracted me the most was the fact that these structures already existed and were not built for the purpose of being museums. They were dissipated in the town before hand, therefore it’s necessary and quite pleasant to walk through the little streets of the village to go from one location to the other – at least it was for me – I could observe daily life scenes and have the chance to meet some locals which always make the whole experience more personal and unique. Unfortunately we were not allowed to take any photos of the art (you will see only some of the outside). Here is a brief description of each location without revealing crucial details, I don’t want to spoil your visit. 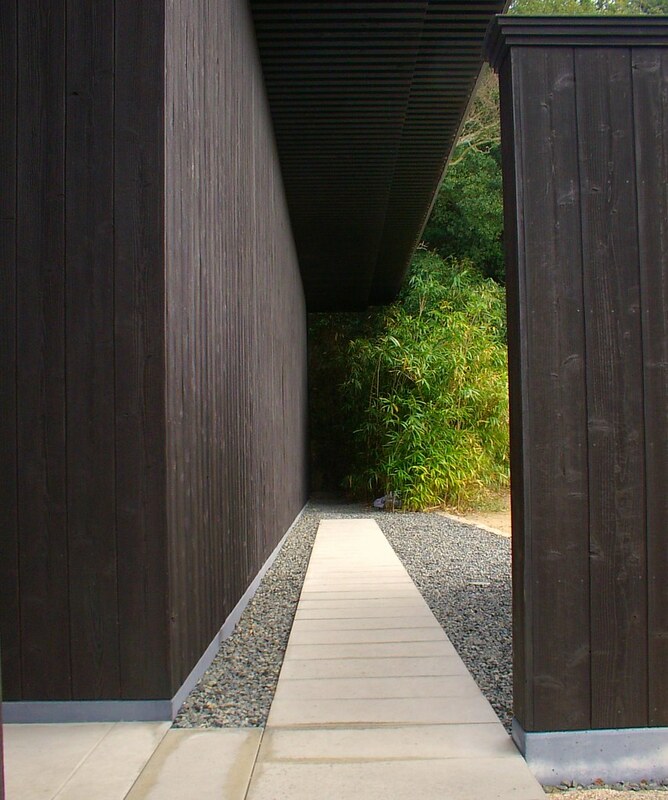 Go’o Shrine: This old shrine has been restored by Sugimoto Hiroshi with a modern view. There is a glass staircase that goes into an underground chamber (don’t forget to visit the chamber, it was my favourite bit). Kadoya: This very old Japanese house has been renewed to host the Tatsuo Miyajima‘s artworks, including a pool with some LED display, very different from anything I’ve ever seen. Haisha: It used to be both home and office of a dentist. Shinro Ohtake made it a display for arts and sculptures. In my personal view the whole place looked a bit messy and crowded, probably because I didn’t have enough time to take everything in. Ishibashi: This used to be the home of a rich salt merchant, today, after being renovated, hosts two big paintings by Senju Hiroshi. Having seen other old Japanese houses, walking around this big house gave me the idea of how wealthy the family who lived in years ago was. 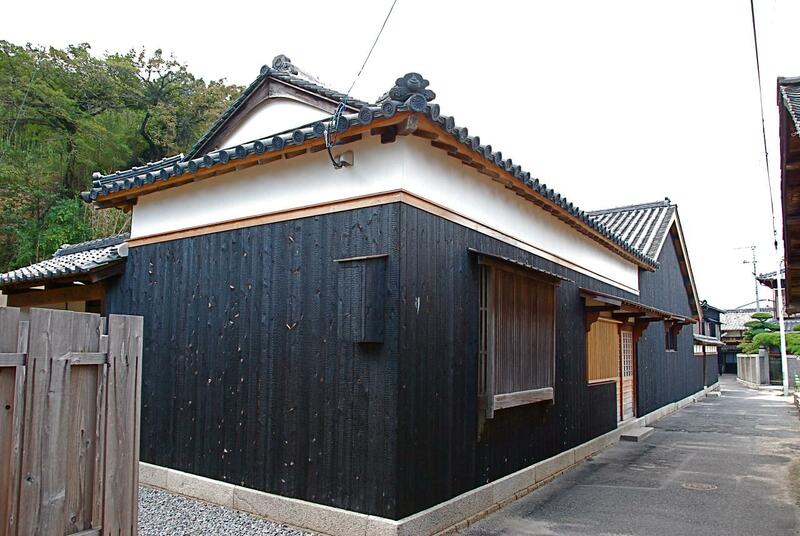 Gokaisho: This building, that used to be a place where people went to play Japanese chess, is now displaying Yoshihiro Suda’s small wooden flowers which contrast against the real ones in the garden. Minamidera: This is a brand new structure that Ando Tadao designed to be built where a temple used to be. The artwork inside is by James Turrell, the only thing I want to add is that this installation plays with your eyesight perception. Also both me & Dale loved it! Kinza: This is another old house which still preserves the original supporting structure. Some additional modern work has been done to transform the building into an artwork itself. Apparently visitors have to enter one at a time, be mindful of having to queue for a little bit. HIGH – The comulative ticket is definetely a saving if you have the time to see all the houses. There are some artworks that I enjoyed more and some that I didn’t like of course, but the overall experience was great and, as I mentioned already, I liked the idea of turning abandoned structures into art spaces. Bare in mind that the Art House Project is closed on Monday and closes daily at 4.30pm. If you owned a structure that was going into ruin with no intention of renovating it, would you donate it to somebody to turn it into an art display? We strongly recommend it! The whole island is very arty and has so many other thing to see a part from the Art House Project (which is a must).